Every Christmas my father would get Old Spice aftershave, usually in a fancy bottle. 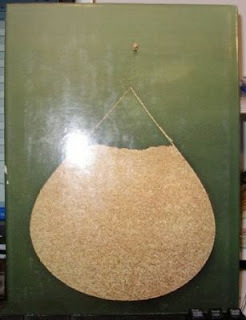 This was one he owned and he would always save the bottles. I think my oldest sister gave this book to Dad one year for Christmas. 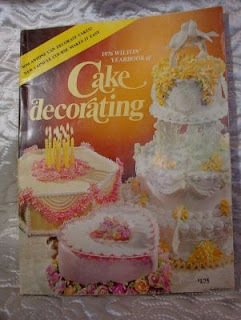 It was published in 1977 so I would have been around 11 years old when we got it. It was compiled by a former premier of Newfoundland, Joey Smallwood. 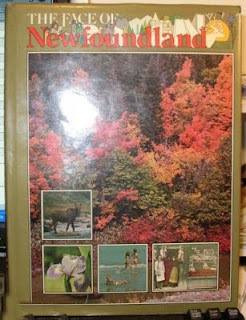 The book was full of photos of Newfoundland places and people and was a beautiful book to look at, which we often did. 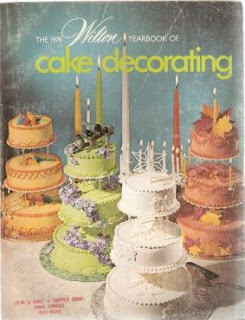 I remember getting this book from my aunt......actually from my cousin's bookshelf, she had grown up and left home and I used to read her old books that she left behind. 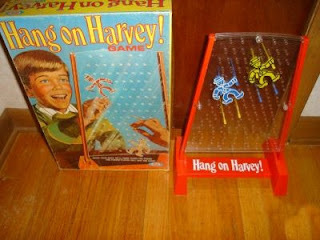 I never owned this game, my cousin who lived in another town had it and I only played it a few times. 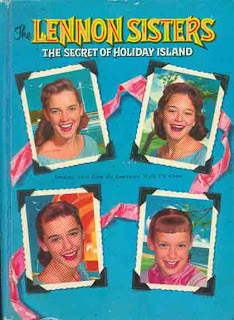 I wanted it and probably asked for it for Christmas but I never got it. I also never had a Lite Brite, a real Barbie Doll, Easy Bake Oven, the Game of Life or a ton of other cool toys that my friends had. I'm not bitter. 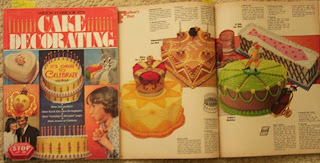 Mom had all sorts of cookie and cake trays, this was one she used often. It folded up so it stored easily and the three layers meant you could put a lot of dfferent kinds of cookies and cakes on the table in a pretty arrangement. 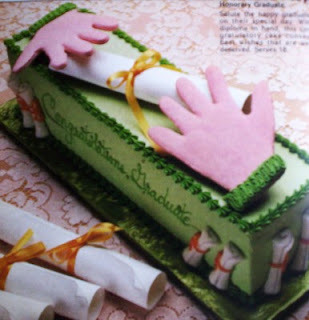 But you had to be careful not to put all the heavy cookies on one side or it would tip over. 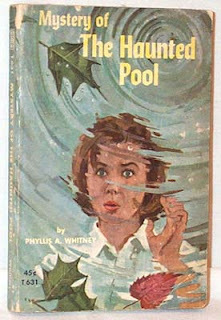 I don't remember reading this book but I remember seeing it in my older sister's bookshelf. 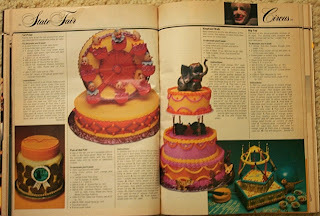 My aunt who lived next door made and decorated beautiful cakes. 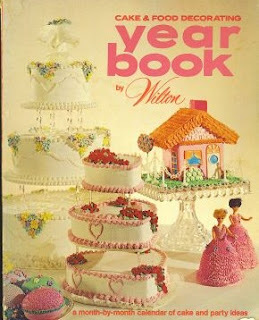 She had a lot of Wilton cake books and my sister and I loved to look at all the cakes in it. 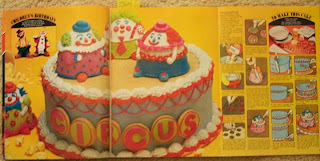 My aunt's cakes and sugar houses won prizes at the fall fair and growing up we always had a special birthday cake thanks to her, in shapes like a butterfly, hot air balloon, telephone, wishing well, angel, snowman, and many more wonderful designs. My 2 brothers shared a bedroom and this was on the wall. A little wooden tie rack with a drawer in it. I think this was one of the cutest salt & pepper sets Mom had in her collection. The two slices of toast held the salt and pepper. 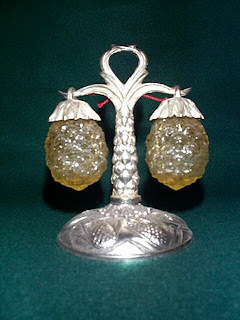 It was never used, just for display, and I always though it wouldn't hold much salt & pepper anyway. 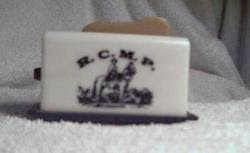 The picture on the toaster is an RCMP (Royal Canadian Mounted Police) officer. 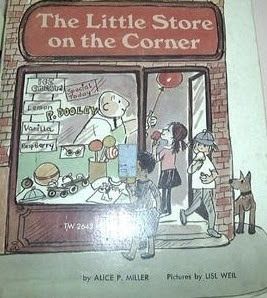 This was my sister's book and I remember the story and drawings to this day. 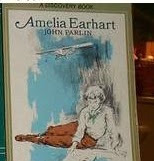 I guess it must have been one of my favourite books for me to remember it so vividly. 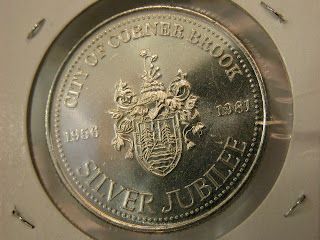 In 1981 the city of Corner Brook issued these commemorative coins. Corner Brook was the city closest to my hometown, just 50 kilometres away. 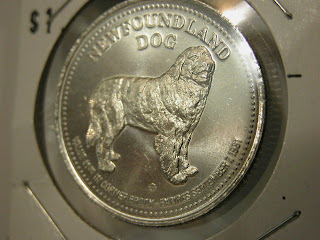 We had a few of these coins around the house. 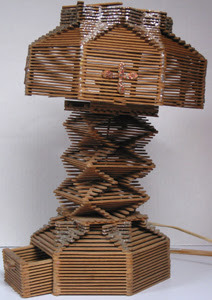 My aunt had a lamp made out of popsicle sticks like this one, I'm not sure hers had a drawer though. I didn't think they were popular enough to be sold on eBay though! I thought it was a one-of-a-kind thing. I guess I was wrong. 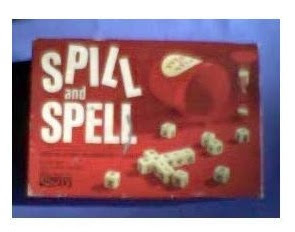 This was my sister's game but I think I liked it more than she did. 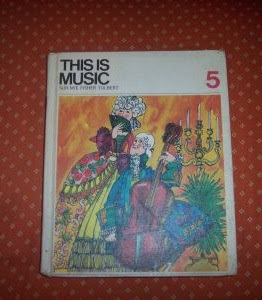 I remember using both of these music books in elementary school. 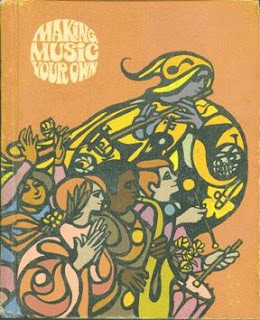 Our music classes consisted of singing songs or learning how to play the recorder. 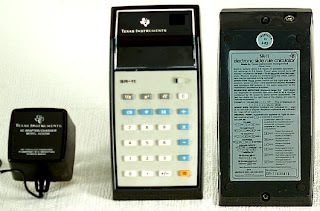 This is the first calculator I ever saw. 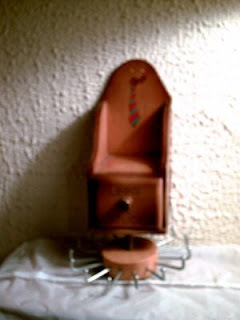 My father owned it and it plugged into the wall. It only did the basic functions but I bet he paid a fortune for it. My oldest sister got this one year for Christmas. We all enjoyed talking into it and listening to ourselves. 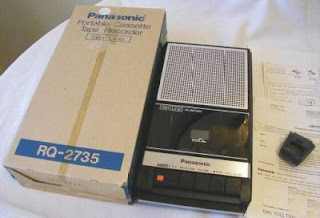 When she moved away from home and left it behind I used it for taping songs off the radio.......come on, admit it, I wasn't the only one who did this, right? 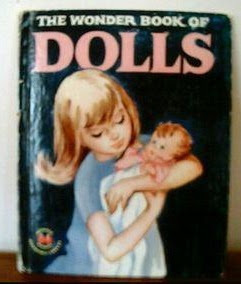 My older sister owned this book and I read it many times when I was in elementary school. 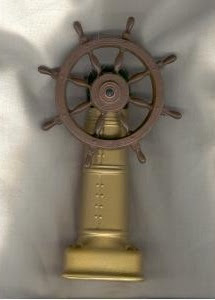 There is a story behind this inkwell. I remember when dad got it. We were on holidays in St. John's and were in Bowring Park(this was probably in the early 70's). There was an old house in the park, I believe it belonged to Sir Richard Squires but I am not sure. We went in the house, it was falling down and full of rubble. There were a lot of inkwells like this in there, most of them were broken. Dad found a good one and took it. I seem to recall he was talking to someone who worked at the park so he probably was allowed to take it and didn't just steal it. 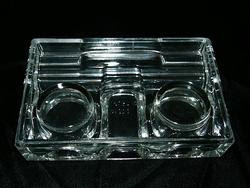 The inkwell was kept on one of the end tables in the living room. It just sat there for years, no one ever put anything in it like a pen. 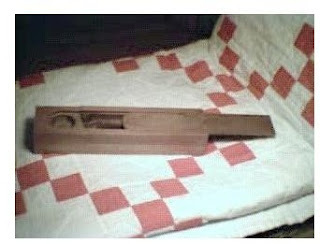 Whenever someone new would come to the house Dad would always get them to guess what it was. 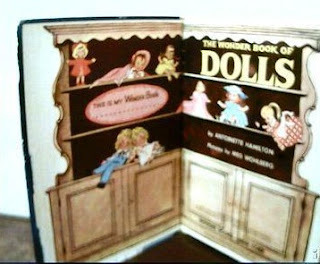 This was my book, it was full of all types of dolls. 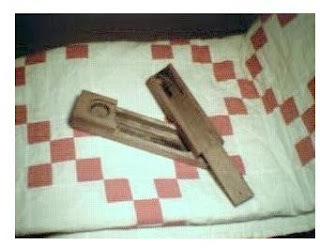 My sister had a wooden pencil box like this, I have no idea where she got it. Maybe it was a birthday gift. 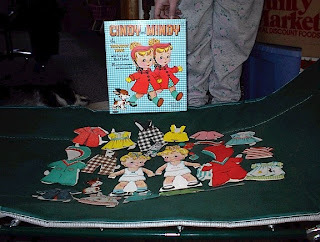 My older sister owned these cut-outs. Sometimes I was allowed to play with them. 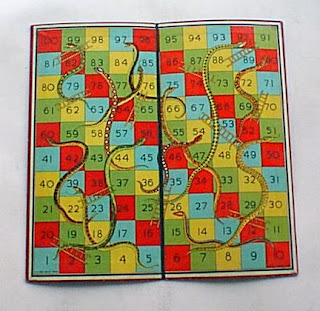 I owned a Snakes & Ladders game just like this when I was small. These days they call it "Chutes and Ladders", I guess snakes aren't appealing to kids. We never saw anything wrong with it. Another set of salt & pepper from Mom's collection (she had over 300 sets). 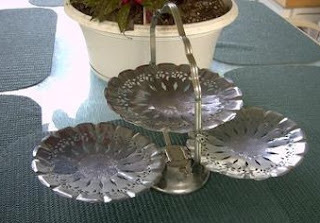 She had a few hanging sets similar to these, with pineapples, grapes, etc.